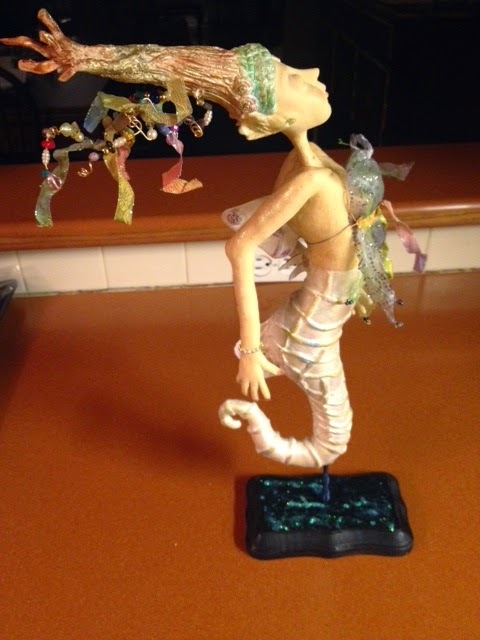 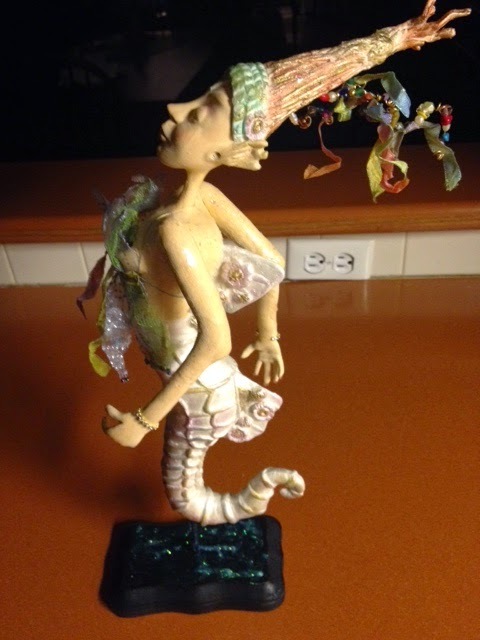 Truly enjoyed creating Linda's superb design of this Sea Horse doll names "Arubia"
I reduced the pattern so the doll measures only 12"
then I used stamp pads of various colors and wiped those on very lightly over the tail. 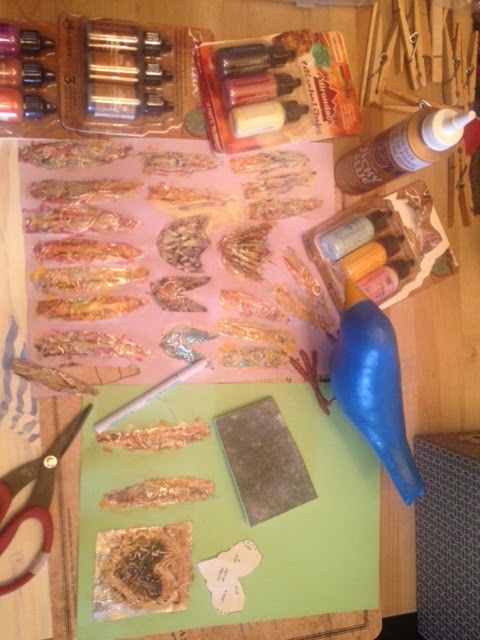 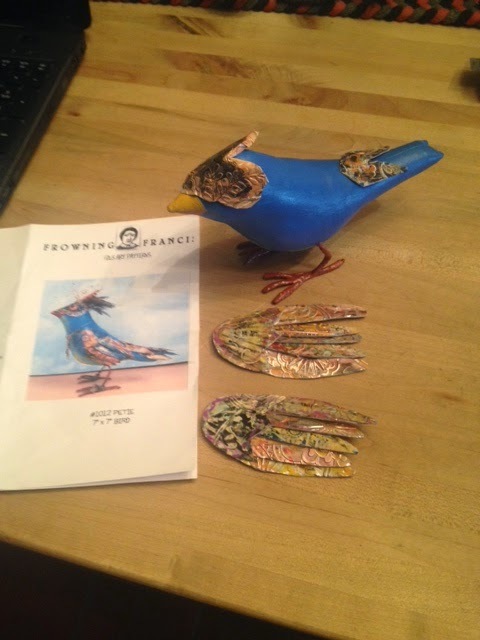 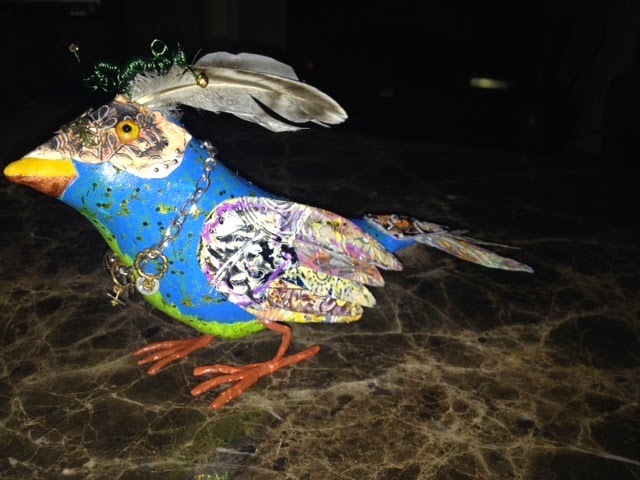 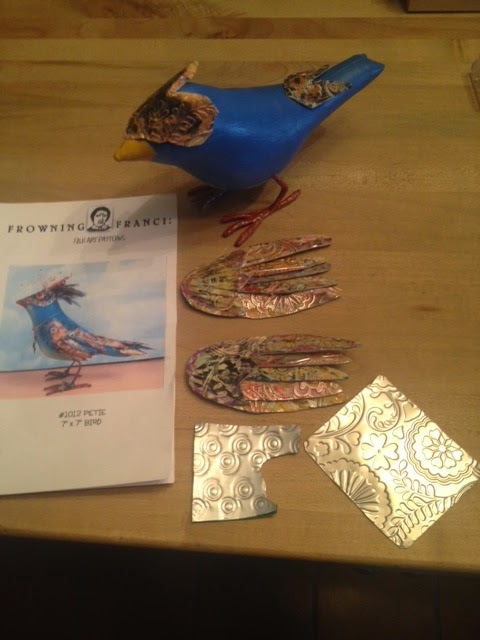 The Bird body is made from muslin, stuffed, painted with Gesso and acrylic paint. 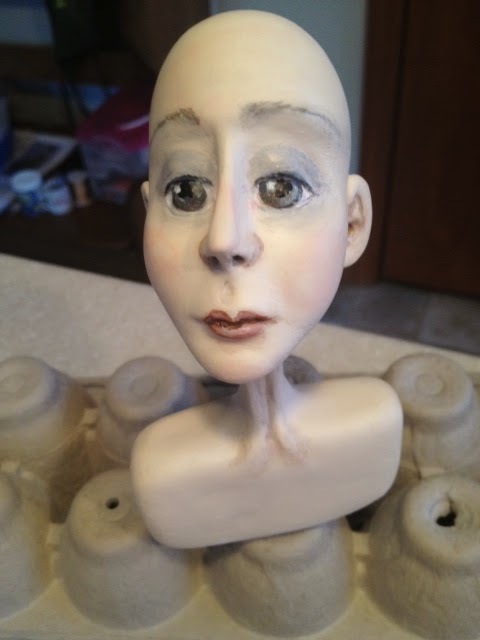 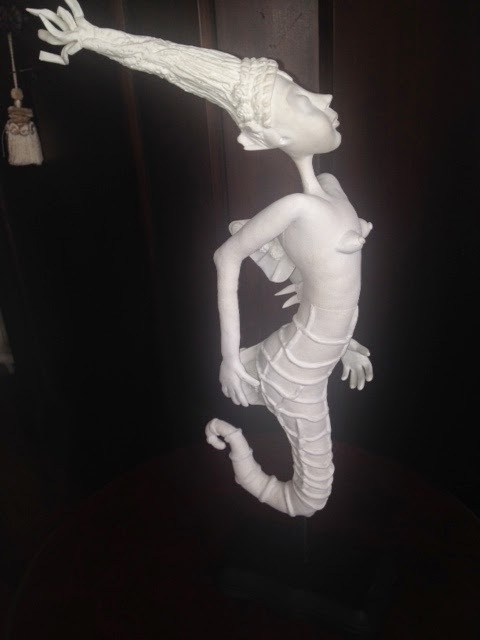 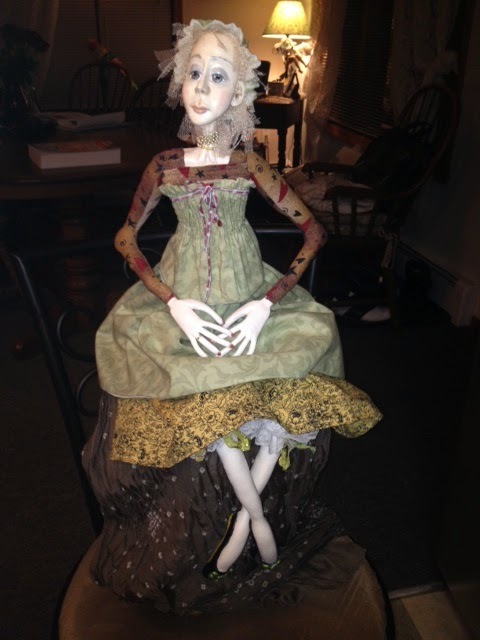 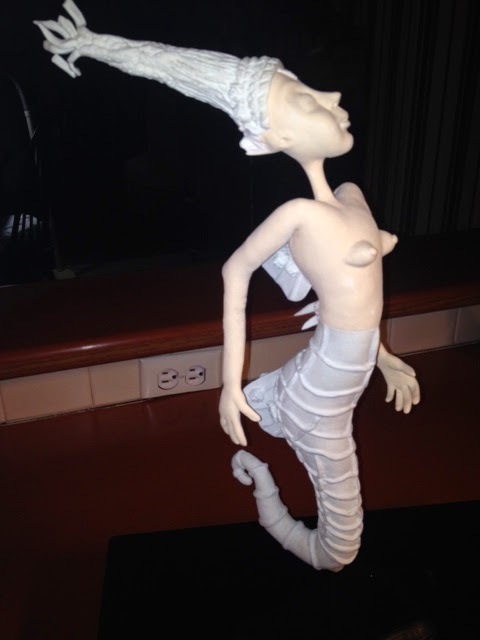 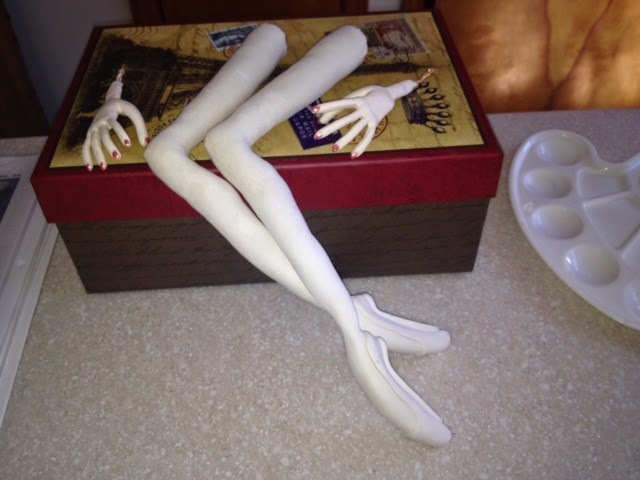 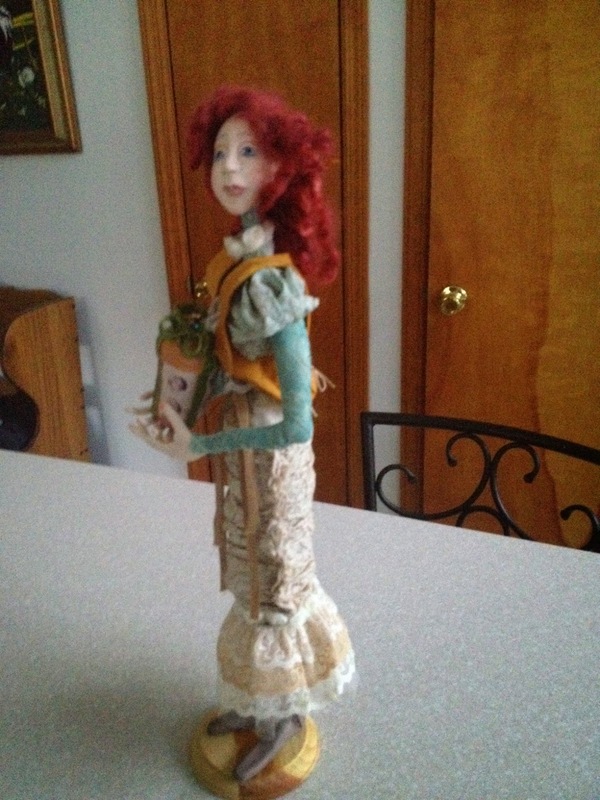 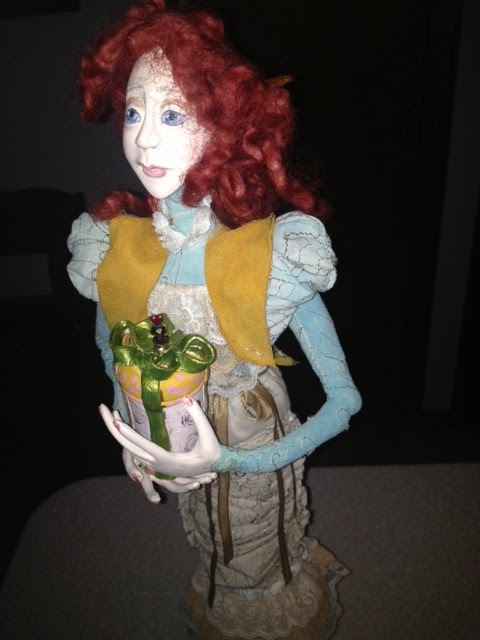 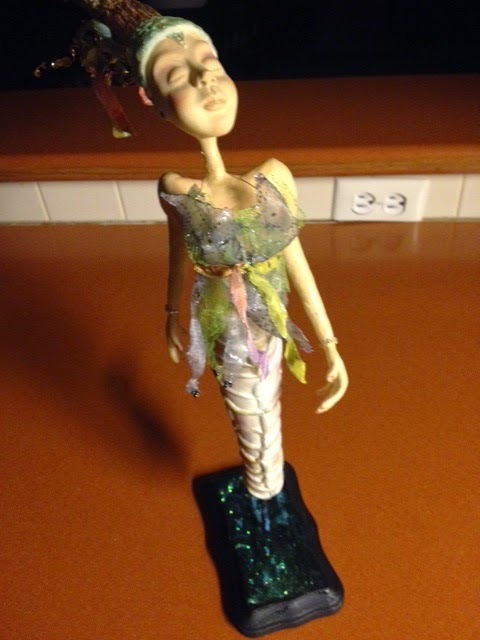 She has a cloth body and Head, hands and boots are sculpted with paper clay and painted with acrylic paint. 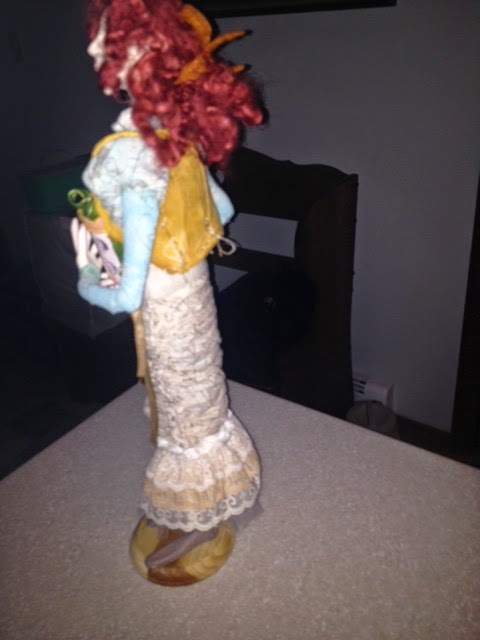 I like to tailor my doll's outfits, so they are removable and nothing gets glued on.